King Pirates Pub is a fun, pirate-themed nightlife spot in Hanoi Old Quarter. You can enjoy a good variety of rum-based drinks, local beers, and house wines. The owners are very friendly and chatty, so it’s a good place to get to know some of the locals during your visit. This small but charming pub has a loyal following among visiting tourists as well as serving as the watering-hole of choice for many expat locals in the Vietnamese capital. King Pirates Pub offers local beers for only VND 20,000. You won’t see a DJ spinning dance tunes, but you can enjoy classic rock songs throughout the night. 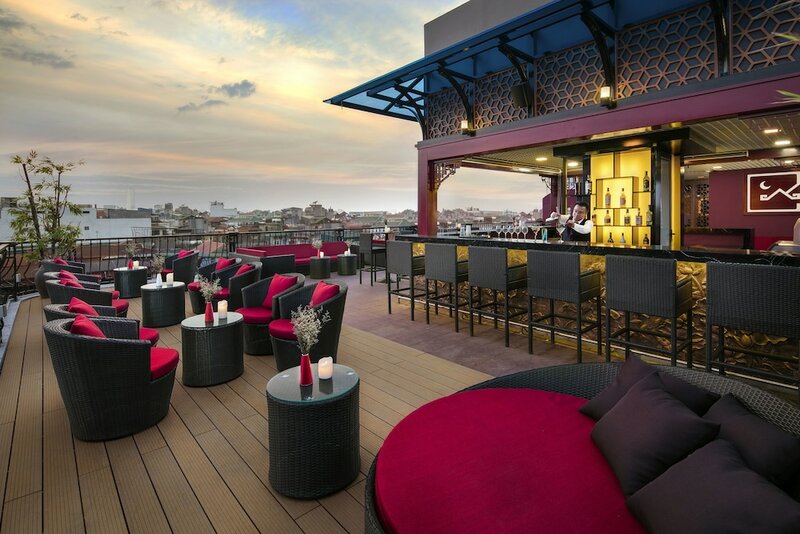 Its signature cocktails cost between VND 60,000 and VND 140,000. You can also enjoy two-for-one specials on all cocktails during their happy hours (which is all-day-long). If you’re up for an adventurous night, attempt the popular Walk the Plank! Challenge. It costs VND 400,000 for five shots of Captain Morgan’s rum and you’ll get a free t-shirt upon finishing your drinks. The pub opens every day between 10:00 and 02:00. Set along Hang Giay Street, it’s a 15-minute walk from Hoan Kiem Lake.